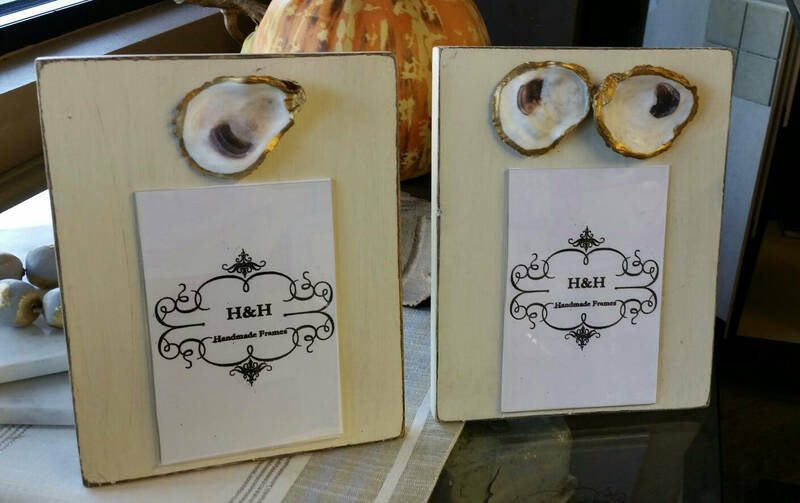 Outside frame dimensions 7 1/2"w x 9 1/2" h and holds a 4 x 6 vertical picture. 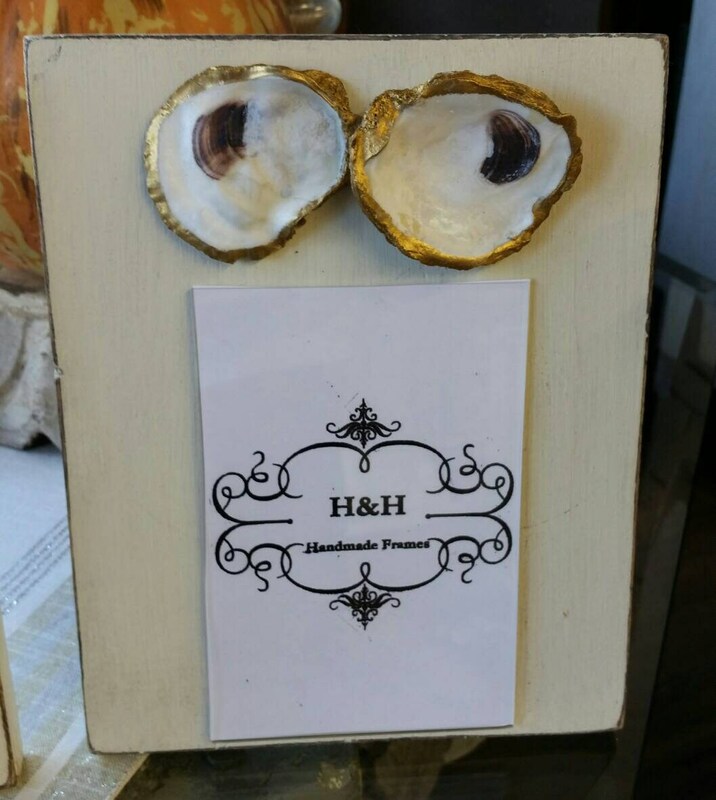 With a real oyster shells that has been accented with gold leaf along its sides and sealed. 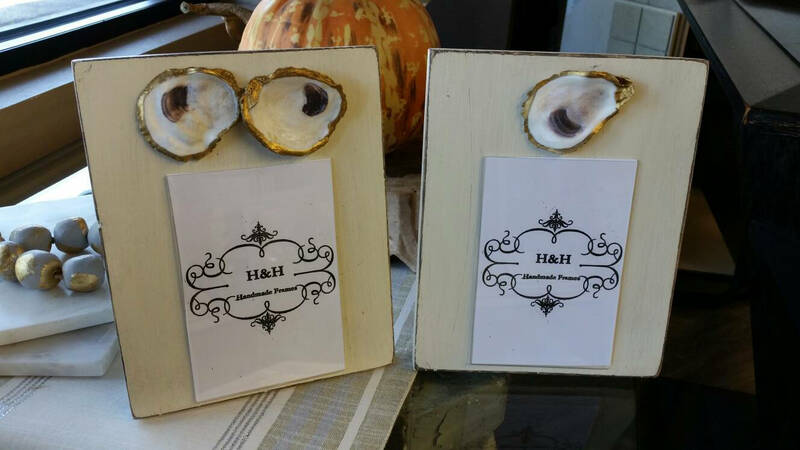 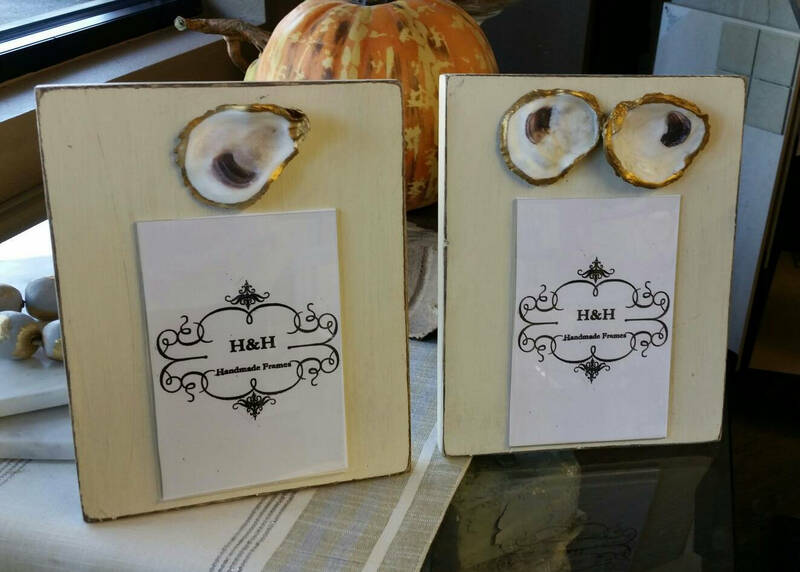 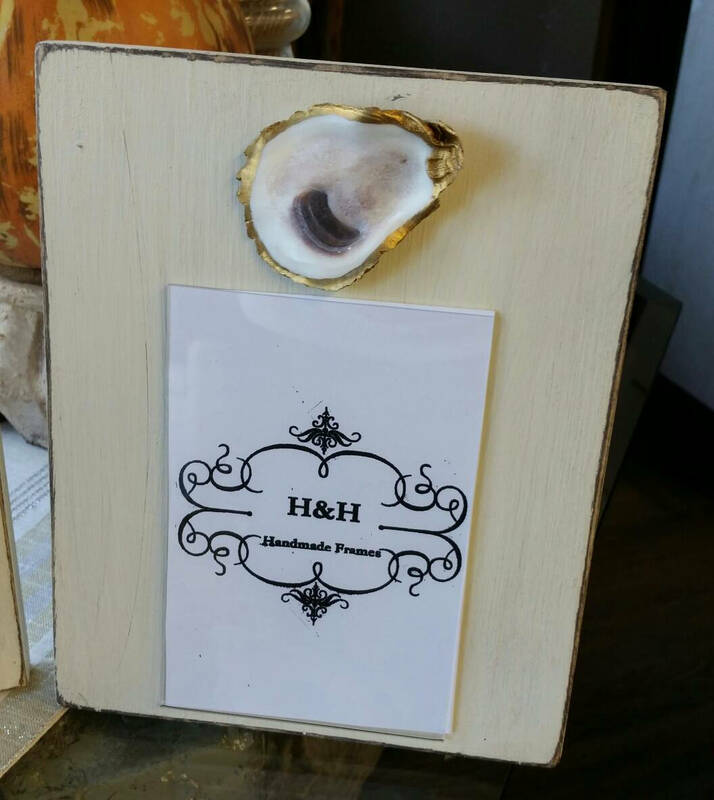 When you order just comment if you would one or two oysters shells on your frame.